This ebook was free when I downloaded it from Barnes and Noble to my Nook library in 2012. It is a historical romance with some suspense. I found it enjoyable and entertaining. I recommend it to only readers who prefer this genre, even when you have to think sarcastically, "Oh yeah, that would happen,"
I read this book in one day so needless to say, I couldn't put it down. Harmony has just lost both parents and has to leave the large farmstead she loves in America. Her mother has set up a trust for her sister, Agatha, to oversee until she is of proper age. Agatha lives in England on an estate an English relative left to her. There is friction between the sisters and even more when Anthony Allen enters their life. The part I really enjoyed about this book was how Anthony Allen stays mysterious right to the end of the book.While I did enjoy the setting and characters of this historical fiction, I did feel that the characters could be a little more developed and there could have been a little more description put into the book. Overall, a good read! I got this one for free so wasn't expecting much. I started it last night before bed, just thinking to read a chapter or two. I finished it at 2 am this morning. It's good. We aren't talking War and Peace, it's a historical romance. 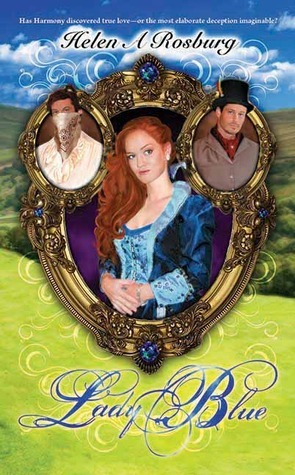 But one of the best-written historical romances I have read in awhile. The pace is good, characterization is excellent and it keeps you wondering what will happen. My only complaint is point of view. One of my biggest writing pet peeves is changing point of view frequently. There needs to be some rhyme or reason. This author changes it way too frequently, including mid-paragraph. This makes it confusing. I had to reread some passages to figure out what happened. The book was still good despite this but it kept me from giving it 5 stars. I was apparently too cynical for this storyline. I expected the ending from the very first, without even a moment of doubt that I could be wrong. I don't know if that means it wasn't set up well, if I expect twists in my plots, or if I just assume that the "hero" in a novel can't be a villian in disguise. (Not enough reason was given for him to be a thief. If there'd been a plausible reasoning - impoverished family, etc, like he mentioned at the beginning, it might have been doable. As it was, he was too gentlemanly to simply be an unscrupulous burglar.) That being said, it didn't detract from the novel. It was a quick and enjoyable read. Silly but very readable romance. Not sure what to say about this book. Some parts of it were well written, others seemed to drag. This was a cute story, but requires the reader to suspend reality quite a bit. Not one that I would rave about to a friend, but a pleasant way to spend a few evenings.